Working at a Bible Camp was an awesome experience. Trevor and I both served in outdoor ministry for several years- and we loved it. Even though both of us had behind-the-scenes jobs, we were still plunged head-first into what I'd call "Camp Culture." You know, campfire songs and their corresponding actions, large group games in which counselors chase children wielding tube socks full of flour. I know that when someone yells, "God is good!" you're supposed to shout, "All the time!" and then they'll say, "All the time!" to which you respond, "God is good!" And I know about ninety million mealtime prayers... all put to song, also with hand motions and lots of clapping. There is one game, a large group game, where everyone sits in a circle. One person is chosen to be the "guesser," and one is chosen to be the leader. The guesser's job is to figure out which person is the leader. Everyone in the circle discretely watches the leader. The leader makes a repetitive motion- maybe it's clapping his hands, or tapping on his knee, and all the other players make that same motion until the leader changes the action. The guesser watches closely, trying to determine which player is starting the change, which player is leading the rest of the group. It's pretty fun. As long as everyone playing remembers who the leader is. If you're not paying attention, or you forget who you're supposed to be watching, it becomes very obvious who is leading and who is following. The disciples have been following Jesus for a while, now. They've heard him preach, they've seen miracles with their own eyes. People healed, demons called out. Evil spirits are falling down and proclaiming that Jesus is the Son of God. There are so many people who want to be near him that they keep a boat at the ready so they don't get crushed. I mean, it's been quite the experience already for a group of men who used to fish or collect taxes for a living. I find that when there's an off-balance state of being in my life- when I'm fearful or angry or in pain- the truth of what's in my heart is revealed. I pour out the things I'm thinking, the things that circle around my soul. I become the most honest when I'm afraid. I panic, and the truth comes out. And that's just what happened with the disciples. They are afraid, and they reveal their hearts. "Don't you care if we drown?" And in that short question, in those six words, we see the truth circling around their souls. I mean, he's been reaching out and healing people for as long as they've known him. Jesus has seen the untouchables and touched them. He's taken the hopeless and brought them hope. The disciples have seen this. They've witnessed the love, the miracles, the compassion Jesus has for these people considered the least... and still they ask it. Yes, you care about the hurt and sick and poor... but do you care about me? The disciples have witnessed the power of Jesus. He's called out demons in front of them. He's cast away sickness and disease. They know that Jesus has power. But they don't trust him. Yes, you can do great things... but are you more powerful than this storm? They've forgotten who they follow. Because if they truly knew the one they were following, they would have the answers to those doubts chewing at the unspoken edges of their souls. I kind of scoff at the disciples, here. I mean, how could they possibly forget who they're following? How can they forget that they are in the presence of Christ himself? They are sitting with the Alpha and Omega and they don't even realize it. These twelve have lived with him, walked with him, broken bread with him. They see him before bed, they see him first thing in the morning... and yet, here they are, still not sure who he really is. They have this amazing familiarity with Jesus, and yet. But if I look deeply into my own life, into my own walk, I'm the exact same way. I have been given this gift of incredible familiarity with God. I live my life with Him. He's there at the dinner table, in the middle of my family life, in the center of my everyday tasks. I have had the audacity to shout at Him when I was hurting, I wept at His feet in grief, I've asked Him why and I've told Him no. I ask the same two questions all the time. Are you more powerful than what is against me? Because guess what? I forget who I follow. Just like the disciples, I forget that the God I serve, the Jesus I follow is so much bigger than I can possibly understand. That the One living in me is the same One who created everything. That the power at work in my life is the same power that rose Jesus from the dead. From the dead! And here I sit, with a storm swirling around me, threatening to swamp me, and I am afraid. I am afraid because it seems like kind of an impossible thing. I'm afraid because I'm not sure that I trust God to take care of it. I've seen Him do incredible things- I've seen it with my own eyes. And yet. I keep my prayers small, my plans smaller, because I'm not really sure that I have a big God. I'm a failing follower, because I forget just Who it is that I follow. 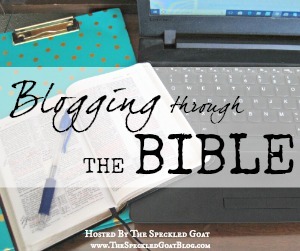 Are you withholding something from God because you're not sure you can trust Him with it? Do you question whether God loves you enough to move in a big way in your life or in the life of someone you love? Is there a place that seems impossible to fix, a storm that seems to wild, a mountain that feels like it will never move? Are you afraid of the future, or of a circumstance that seems to be bringing darkness all around you? I am one in whom Christ dwells, and I live in the unshakable Kingdom of God. Jesus himself loved me enough, cared enough, to die on a cross to make me his. And now, I live in a backwards Kingdom where the storms may rage, but I can sleep on a cushion at the stern of the boat-- because my life is held in God's hands. Unshakable. I know that my God is bigger, is more powerful, than anything I can truly understand, and the wind and the waves obey Him. The power of death itself is no match for my savior. If I remember Who I'm following, can trust Him. I can trust in His power, and I can trust in His love for me. He's shown it time and time again- in the immense things (the cross, in particular), and in the small blessings and small moments of His faithfulness in my life. And so I'm asking that God would take my fumbling and my failure and teach me to follow better. To remember Who He really is, in all His power and in all His incredible love for me, and that the truth of it would sink down deep and anchor me even in storms when I am afraid. Because yes, He is bigger, and yes, He cares about me. This is such a huge issue for myself and many other Christians! It's so easy to have short-term memory loss regarding who Jesus is and how he handles things for his children. Thanks for the reminder! Thank you, Ally; this has really resonated with me. It is such an insightful look into a familiar passage. 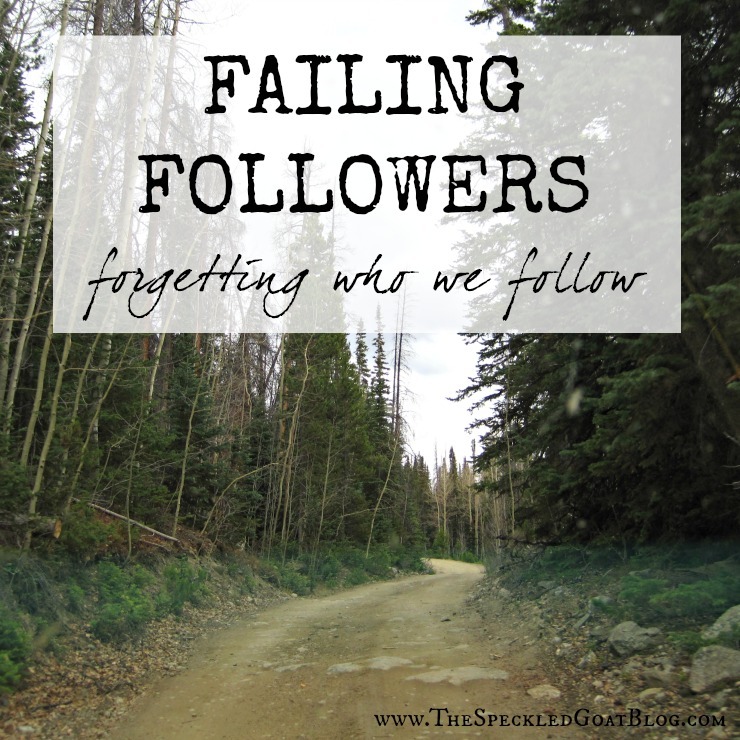 I, too, am a failing follower, and I pray that God would help me to follow more completely and sacrificially. Blessings to you! Yes, it is so easy to forget who we are following. I have to remind myself often to keep my eyes on Him. Thanks for sharing on Grace and Truth.